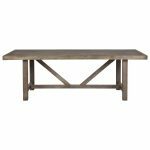 The Manyara dining table is the perfect piece for an effortless dining room. The simplicity of the design will make it a perfect addition to a modern home, however the rustic finish will also mix well with more nostalgic interiors. Whilst we endeavour to keep our stock levels topped up, at times products are out of stock. In this situation you will be notified of the length of expected delay OR prior to online purchase you can contact your nearest store to confirm stock levels. Welcome to the LA MAISON website. Please take a few minutes to review these Terms and Conditions. Your purchase of products from us constitutes your agreement to follow these Terms and Conditions and to be bound by them. These terms and conditions and any contract including them is governed by the law of the state in which the seller accepts the buyers order and thus both submit to the jurisdiction of the courts of that state. Thank you for choosing a LA MAISON product. Our staff will be happy to advise on the product best suited to your needs. Our pieces may be hand crafted and hand finished to provide the unique LA MAISON look and may vary in measurement and finishing colour. As timber is a natural product, each piece may be different and vary over time with exposure to light and use. Natural imperfections are normal and may include knots, grain and surface texture. Products have a standard, one year warranty on manufacturing faults. LA MAISON is not responsible for the condition of furniture that has been used inappropriately, or in a commercial situation. Claims will not be accepted outside of the 1 year warranty. A quotation is not to be construed as an obligation to sell but merely an invitation to buy. There is no contractual relationship until the trader accepts the buyers order in writing and/or accepts a deposit / payment to proceed to supply the goods. The delivery cost is a guide only and will be confirmed at time of actual order. Quotations do not hold stock, thus items quoted can only be guaranteed in stock for that day only. Your written purchase and/or deposit is confirmation of your order and is binding to the LA MAISON terms and conditions and we do not exchange or refund for change of mind. LA MAISON accepts Visa, Mastercard, American Express & direct deposit bank transfers. When deposit has been paid, a contract has been entered into and the trader may be entitled to retain all or part of your deposit. This can vary, depending on time spent on the transaction and work involved, so as to compensate the trader for this time. Orders for goods that are in stock must be paid for and collected / delivered within two weeks. If the goods have not been paid for and collected within this time frame, a courtesy call will be made. Goods not collected or delivered within this period may incur a storage fee determined by, and at the discretion of LA MAISON, of the total value of the order. LA MAISON reserves the right to cancel an order, retain the deposit received and resell the items. All goods remain the property of LA MAISON until paid for in full. Arrival / shipping times are quoted in good faith, but we are not responsible for unseen delays in manufacturing and shipping and we will endeavour to advise when such delays occur. Online orders are to be paid by credit card or bank deposit. Your written purchase request is a confirmation of your order and bound by our terms and conditions. Goods ordered un-inspected by the client either online or via email are also bound to our change of mind policy. Each computer displays images slightly differently and as LA MAISON items are handmade, each has slight variations in finish and construction. For design professionals, we are can offer trade arrangements when supplied with appropriate business registration information. Ordering must be in writing from the designer / retailer. Payment is the responsibility of the designer / retailer and it is the responsibility of the designer / retailer to advise their client of the suitability (size, finish etc) of the product for their clients requirements. Pricing may change without notification. LA MAISON has the right to withdraw an item from sale at their discretion. LA MAISON is entitled to take action to recover the balance owing on an invoice. The client shall be responsible for any costs incurred by LA MAISON to recover this money including legal costs, solicitor’s fees, court costs, bailiff’s fees and fees paid to debtor collector. We do not refund for change of mind. Cancellations must be submitted to LA MAISON in writing by email or fax. Cancelled orders may incur a restocking fee of 15% of the total order value and the remaining monies will be transferred to an in store credit voucher, valid for use at LA MAISON for twelve months, from the date of issue. Custom or special ordered goods ie non-standard fabrics etc, are defined as a non stock item and are non refundable, if cancelled, unless the item is proved to be faulty. Refunds are entitled only if the item is faulty or has a serious flaw, that was not known at time of purchase (unless agreed to and stated on the order), does not match the description or sample shown on the showroom floor, or is not fit for the use it was sold for (ie was advised waterproof and is not). Our pieces may be hand crafted and hand finished to provide the unique LA MAISON look and may vary in measurement and finishing colour. We do not consider minor measurement difference or slight colour variations flaws. As timber is a natural product, each piece may be different and vary over time with exposure to light and use. Natural imperfections are normal and may include knots, grain and surface texture and distressed highlights in different areas. Returns and exchanges must be lodged/made within 14 days. LA MAISON does not offer a refund for change of mind - a store credit or exchange for equal or more value would be issued in this instance. When collecting, the purchaser is responsible for checking the condition of goods prior to leaving the premises – the care and responsibility is then with the purchaser. Any damage claims will not be accepted after collection. If the client does not wish to use the advised freight carrier by LA MAISON, all damages incurred during the freight of their items will be the responsibility of the purchaser. A competitive delivery service is available. Extra costs may be incurred for stairs or difficult deliveries- in this instance must be advised prior to LA MAISON confirming a delivery quote. If a purchaser is not at the delivery address at the arranged/scheduled despatch date, goods will be returned to the warehouse. A second delivery fee will be required to make the delivery again. The purchaser must inspect the items and report any concerns within 24 hours and supply to LA MAISON, a photo and description of the issue. Due to OH & S, we do not and are not responsible for moving goods that are not LA MAISON products. We are not responsible for the installation of any products. LA MAISON reserves the right to refuse delivery due to issues or concerns of access. Once items are received, the purchaser is responsible for protection of flooring, carpet, rugs etc. All floor-stock items are purchased in "as is" condition. Some floor-stock items may warrant a discount, these items are non refundable and sold in an "as in" condition. It is the responsibility of the customer to inspect their items prior to purchase. Any damage incurred from the transportation and/or in-home use of floor-stock/ ex-display items is not the responsibility of LA MAISON. LA MAISON has a one-year structural warranty on all branded items. This warranty does not include general 'wear and tear' of painted or veneer surfaces. The client is responsible for all freight and handling charges for goods being sent. The client is responsible for freight insurance; please discuss possible additional cover with your insurer. Goods MUST be checked for condition AT THE TIME OF RECEIVING the items, as no further claim can be made after this. All additional costs incurred, are to be paid by the client. LA MAISON is not responsible for any issues/damages incurred by any freight companies used, and any claims MUST go directly to them. Colours as shown on our photographs are displayed differently on every monitor and computer system, depending on the device. As such, colours displayed are best digital representation but can vary from the actual finish. La Maison has two stores in Sydney metro area and all product finishes can be viewed in store. To check if a specific item or finish is available for inspection at the LA MAISON Store, please call (02) 9331 6555- alternatively please contact us to see if we have a sample available. Our upholstery colours may vary due to different dye lots. If you would like a colour sample of the current stock, please contact our office or come in-store to our showroom. Don’t place the fabric in direct sunlight or near heaters as they can fade and damage the fabric. Vacuum regularly with a soft upholstery attachment. Some fabrics may endure an initial short period where temporary pilling can occur. This is not considered a fault and can be easily remedied with a pilling-machine. Use a professional dry cleaning service at least once a year to keep the fabric looking good. Leave any removable covers on during cleaning to minimise shrinking. products advertised on www.lamaison.net.au under "clearance"
– All Items MUST be inspected prior to purchase. Many items may be ex-display, have slight marks/damages or be discontinued. These items must be viewed prior to purchase as are purchased in 'as is' condition. -As with all LA MAISON Sales, first in best dressed. We are unable to hold items for you. The first person to pay for an item is the purchaser. -All items are purchased in an “as is” condition. -NO exchange or refund for sale items. All sales are final. -PICKUPS: must be collected within 3 days of purchase. If you are collecting a heavy item, please bring sufficient assistance with you to load into your vehicle. LA MAISON store team members are NOT insured for lifting and carrying large items to your vehicle. If you require assistance with your items we offer delivery to your home, at an additional cost. -DELIVERIES: must be completed within 21 days of purchase. Deliveries are of additional cost, please discuss freight prices with the LA MAISON team at the time of purchase. We are unable to hold any sale items beyond 21 days. In the event of you requiring storage for your items, this needs to be organised with a third party prior to purchase. -No additional discounts or reductions will apply, not in conjunction with any other offer. Additional discount on Sale items for trade or wholesale customers is not available. – Existing LA MAISON credit notes or gift vouchers cannot be used against the LA MAISON online clearance items - this is non- negotiable. This web site and its contents are the property of LA MAISON Pty Ltd and are subject to copyright. The contents of our web site and the web site as a whole are intended solely for your personal, non-commercial use. Any use of our web site and its content for purposes other than personal and non-commercial use is prohibited without the prior written permission of LA MAISON Pty Ltd. Using any photographs of La Maison without written approval will be considered as a copyright breach and must be removed immediately.